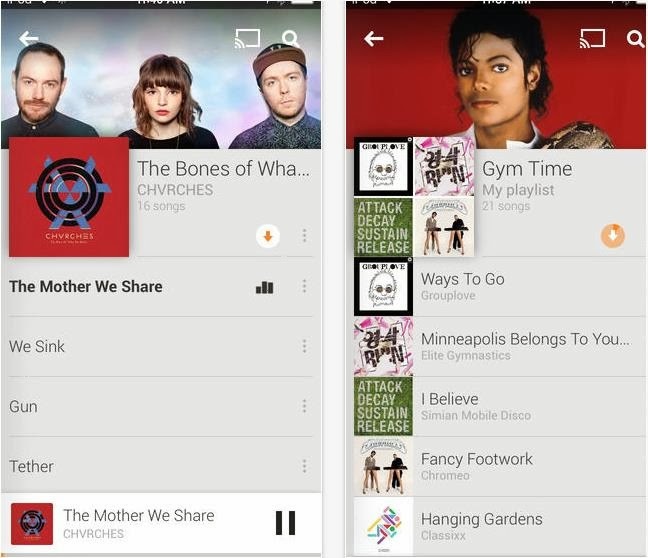 Google play music 5.4 update is released today and this version adds a bunch of new features to the existing Google play music app. The Offline Radio feature brings a major uplift to the app by allowing users to save radio stations for offline playback, this is similar to the offline mode in Google currents where users can save articles for offline reading. Other important additions to the latest update are Play next option that lets you easily play the next sequence of music and My devices information option that lets users to add or remove devices directly from the app. The update will be available shortly but you can download the updated Google play music 5.4 APK file from here and install it on your Android phone or tablet.